Recently, a lot of people have been asking me for advice for their trip to Lyon. Well, you’re in luck – I wrote a guide with all the essential things to do in Lyon. It’s a guide made for friends – all the places I would take someone visiting me in Lyon. It’s a mix of my favorite local activities and famous must-sees. I’ve also included some handy information on where to stay and how to get around. 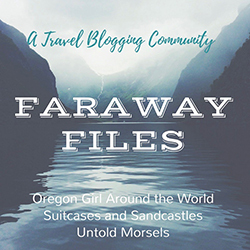 Click here to read it over in my guest post for Ashley Abroad. By the way, you can see all my other guides to Lyon here. I’ve written about my favorite wine bars, boulangeries, and tea rooms, where to find international food, and more. 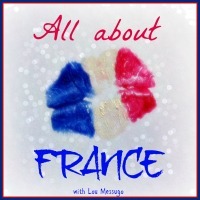 Thanks so much to Ashley for hosting my post on Ashley Abroad! I always look forward to reading your post. France is like a second home to me. I’ve been to Paris and Montepelier. I have friends there and all over Europe. I will consider going to Lyon on my next trip. Merci!! Thank you, that’s so kind!! Paris and Montpellier are two of my favorite cities in France (besides Lyon, of course!) I hope you’ll enjoy Lyon if you visit one day! I’m so glad you found my suggestions helpful!! Have an amazing time in Lyon in April! I would love to hear what you enjoy most about your visit.